In apparent response to Rosslyn's pioneering and stunning crape myrtle mural, Crystal City has announced that it has commissioned a mural that will be bigger than Rosslyn's mural. Just the sort of action that you would expect from a younger sister desperate for attention. Well, Crystal, let me tell you something. The Ode Street Tribune passionately believes that size isn't everything. Setting, ambiance, and the total experience is more important than raw size. 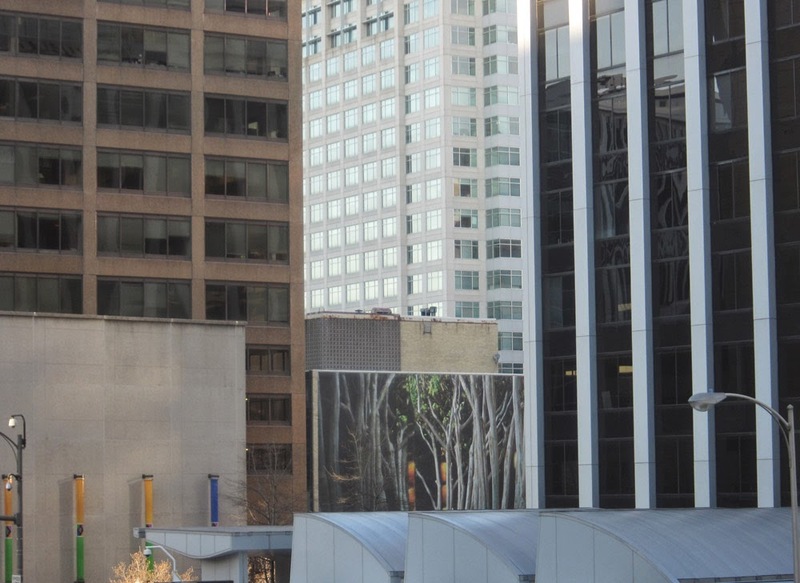 Look at the beautiful patterns of shapes and buildings in Rosslyn and the way that the Rosslyn mural nestles within. Installing something bigger is not enough to be more beautiful.